British Airways Strike Back on? 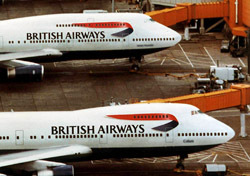 Monday’s court ruling that invalidated the strike by British Airways’ cabin crew, Unite, has been overturned, opening the door for strikes, perhaps as soon as next week. In this latest ruling, a U.K. court of appeals determined that British Airways’ claim of errors in Unite’s strike ballot results reporting was not sufficient to invalidate the strike itself. Now the question becomes whether or not the two sides can reach a last-ditch agreement before Monday, which is the earliest Unite says it would begin any labor actions. British Airways, for its part, doesn’t think many cabin crew workers will actually strike if the union goes ahead with its proposed action. If no deal can be reached, Unite would likely follow its pre-planned schedule of several five-day strikes.